Is it possible that pocket pistols and other small caliber handguns are more capable problem solvers than we might have been lead to believe? 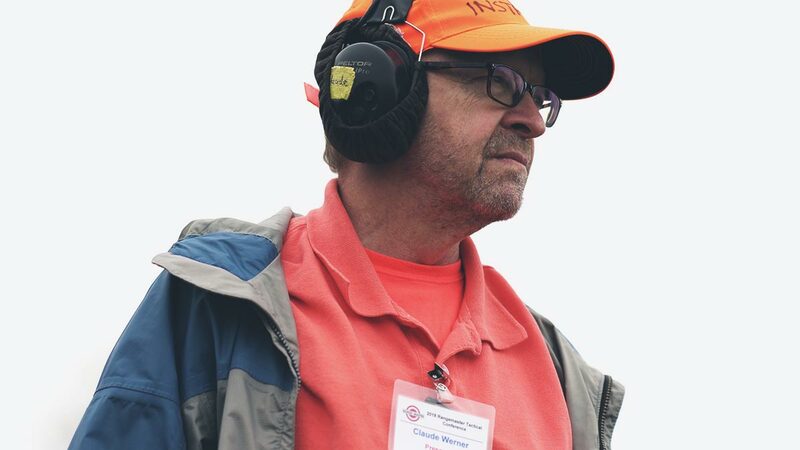 That was the subject of a conversation I recently had with one of the greatest minds in the firearms training industry — Claude Werner, aka The Tactical Professor. In the interview excerpts below, he talks about why so-called “mouse guns” have often been the object of derision in the self-defense training world and then I share a few thoughts about his thoughts. Watch the video for the details or scroll on down and read the full transcript. This is the beginning of our new series on pocket pistols so stay tuned for more! CLAUDE: The big problem is that most of the training industry has its roots either in the military or law enforcement communities. And myself included — longtime military officer, special forces, etc. I think sometimes we in the community lose sight of the fact that that mission is different. That, for instance, a law enforcement officer, when they get into position of having — having to shoot someone. The reason for that is because they have to take that person into custody. They have to put hands-on, force compliance, and take them into custody. You need more resources to do that than you do to just force, what we called in special forces, a break in contact with the enemy. And with criminals, that’s all we’re trying to accomplish as private citizens — a break in contact. “Look I don’t want to have anything to do with you. I want you to stop trying to hurt me and then I want to get out of here.” And in that context, smaller pistols can accomplish the same effect as a larger pistol can in the law enforcement and military communities. In fact, I can document more failures of service pistols in the hands of law enforcement officers than I can small pistols in the hands of private citizens despite the fact that private citizens probably shoot five times as many people a year as law enforcement officers do. So, it’s a difference in the mission that drives the equipment requirement. CHRIS: That was part of a conversation I had with Claude Werner a few months ago at the 2018 Rangemaster Tactical Conference. 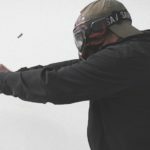 Claude has built a reputation in the firearms training community for challenging conventional wisdom and one of the topics he’s known for is using small-caliber handguns for personal protection. If you’re not familiar with Claude, I’d encourage you to take a look at his blog, tacticalprofessor.com. I definitely don’t agree with him on everything, but over time, I’ve learned that if Claude presents an idea that I disagree with, there’s a good chance that I’m the one who’s wrong. Or at the very least, I need to seriously examine the reasons why I think I’m right. So following Claude over the last couple of years has led me to reconsider some of my assumptions about the utility of small caliber handguns. And I’m talking about anything that would be considered less powerful than 9mm and other traditional service calibers. So, .380 ACP, 32s, 22s, small-caliber snub nose revolvers — guns that fall into the category of pocket pistols or mouse guns or even larger guns chambered for those smaller cartridges. 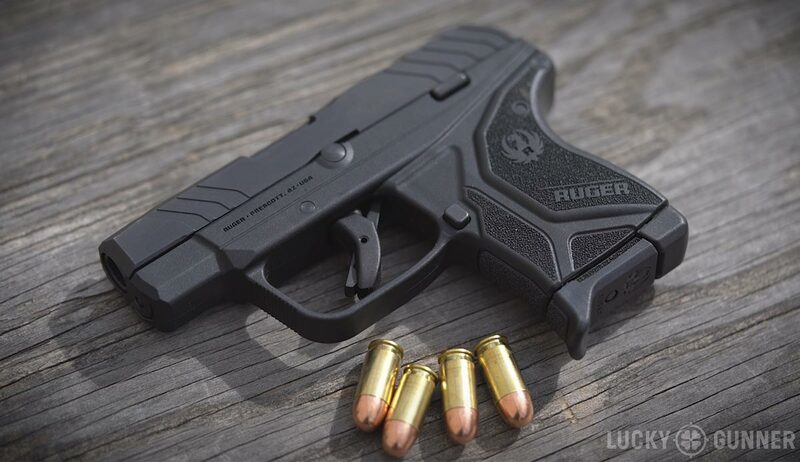 Meanwhile, the tiny little .380 Ruger LCP is the best selling firearm in the country. So this message from the training community that you shouldn’t carry a small gun is not getting through to the average gun owner. 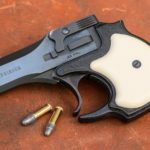 Part of the issue is that we often tend to downplay the challenges involved in carrying the kind of pistol that a lot of us consider to be the ideal minimum. A lot of people have to dress a certain way for work and they can’t risk carrying anything larger than a pocket pistol, or they might get fired for violating company policy. And, even if it’s not a work-related issue, I think the vast majority of people who are interested in concealed carry simply are not willing to completely change the way they dress every day in order to conceal something as large as a Glock 19. Other people have health issues that prevent them from carrying heavier guns all day or that make recoil management difficult. The best way to make sure people like this never pursue the kind of training they need is to tell them that if they aren’t going to carry a bigger gun, they shouldn’t bother carrying any gun. I asked Claude about the decline in popularity of .32 caliber handguns because I know he’s a big fan of those and he made a really good point about this preoccupation with caliber. CLAUDE: Well, as I like to say, in the community, it’s all about the Indian not the arrow until they don’t think the arrow is pointy enough and then it’s all about the arrow. Well, let’s think about the arrow’s function; it’s to cause a break in contact, not to render that person incapable. So, if we shoot someone with a .32 and the guy runs off, is that a success? Absolutely. That’s all we care about. Now, to a law enforcement officer, that would be a failure because he couldn’t put the bracelets on them, but in our case, we don’t care. So, ultimately, we’re poking holes in people with handguns. Look folks, it’s a handgun. Mathematically, if you work out the difference between the size of the frontal area of a 9mm or .45 versus the size of the average male torso, the difference is that the .45 is 22/100 of one percent bigger than the 9mm. Wow. That’s impressive. 22/100 of one percent. The fact of the matter is, as John Farnham says, they’re all pathetic pop guns. But if we put that pop in the right place, then it becomes a lot more effective. CHRIS: Now, before anyone gets too upset, I don’t believe Claude is saying that caliber doesn’t matter or that it never makes a difference. But those incidents where the ammo used in the gun is the deciding factor represent a very small percentage of private-citizen-involved defensive shootings. The factors we prioritize in our equipment selection and in our training should probably reflect the types of scenarios we are most likely to encounter. CLAUDE: I’m concerned about our preoccupation as an industry with what John Johnston calls sentinel events. That very distinct outlier. And if we had unlimited training resources, okay that’s great, let’s be prepared for everything. But ultimately, much of life is ruled by the Pareto Principle — the 80/20 rule where 80 percent of the benefit comes from 20 percent of the resource expenditure. So I like to think about focusing on — let’s solve the 80/20 problem first. And then if we have time left over, let’s think about the other things. So for instance, the biggest problem that we have is still one person, usually a guy, tries to rob us or assault us or kill us or whatever. Let’s be ready to deal with him first. In most cases, one or two shots will deal with that problem. Then after we’ve figured that problem out, how to solve it, then let’s move on to the further outliers and ultimately to the sentinel events. And right away, people want to focus on the sentinel event. CHRIS: So, if someone wants to rely on a pocket pistol for self-defense, that’s probably not an automatic death sentence like we might have been led to believe. Chances are, it’s sufficient to deal with the most common problems. 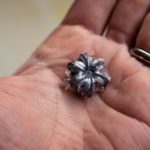 But even if the disadvantages of small calibers and low ammo capacity have been exaggerated, there are still other challenges involved in using a small gun that most people don’t seriously consider. The gun was inaccessible and they couldn’t get it out quickly enough. They were able to retrieve the gun but it wasn’t ready to be fired — either there was no round in the chamber or a manual safety was engaged and they couldn’t disengage it in time. They managed to fire shots at the threat but either missed completely or hit a non-vital area. The gun malfunctioned after firing and they could not clear it before being overwhelmed by their attacker. All of these hardware-related problems are more difficult to deal with in a small handgun — especially a small semi-auto. So for the next several weeks, I’m going to focus on pocket pistols and small-frame revolvers. I want to look at how to overcome some of these disadvantages through training and equipment selection. I’ll also be doing some gun reviews, I’ll talk about different holsters and carry methods and some dry fire and live fire drills you can try on your own. That’s coming up very soon. In the meantime, you can support our content by getting your ammo with lightning fast shipping from us at Lucky Gunner.